(1) Relationship among vegetation, form and mechanical properties of plants. (1) Meguro'S.& Miyawaki,A., 1994. 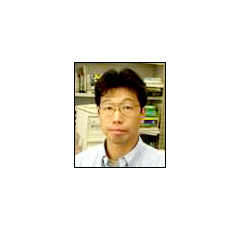 A study of the relationship between mechanical characteristics and the coastal vegetation among several broad-leaf trees in Miura Peninsula in Japan. Vegetation. 112:101-111. (2) Murakami,Y. & Meguro,S., 1996. Woody vegetation in Bintulu and Similajau National Park, Malaysia. Eco-habitat. 3:1-17. (3) Meguro,S. & Miyawaki,A. 1997. A study of initial growth behavior of planted Dipterocarpaceae trees for restoration of tropical rain forest in Borneo/ Malaysia. Tropical Ecology. 38:237-245. (4) Alias,M.A, Hamzah,M.Z., Fujiwara,K. & Meguro,S., 1998. Rehabilitation of tropical rainforests based on potential natural vegetation species for degraded area in Sarawak, Malaysia.Tropics. 7(3/4):223-239. (5) Meguro,S.1998. Growth behavior of some species through experimental reforestation on Borneo Island' .Eco-habitat. 5:53-58. (6) Miyawaki,A. & Meguro,S. 2000. Planting experiments for the restoration of tropical rain forest in Southeast Asia and a comparison with laurel forest at Tokyo Bay. Proceedings IAVS Symposium. 249-250. Sweden. (7) Meguro,S. & Miyawaki,A. 2001. Growth behavior of tree species and the ecological characters of lowland tropical rain forests in Southeast Asia. Hikobia. 13:363-372. (8) Meguro,S. 2002. Macrodynamic growth behavior of reforestation in Southeast Asia at initial 10 years. Eco-habitat. 9. 129-134. (9) Meguro,S. & Miyawaki,A. 2003. Vegetation reconstruction and ecological reforestation based on vegetation science. 2003 Taipei International Workshop on Ecotechnology Proceedings. 4.1-4.8. Taiwan.